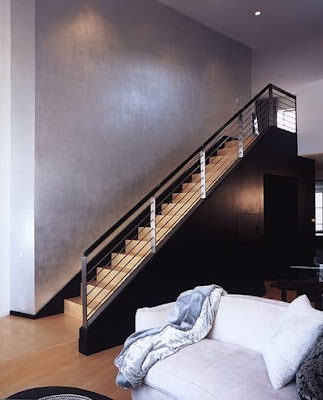 New home construction is so exciting, especially as the walls have gone up and you really begin visualizing your spaces. A friend of Mr. Big's has an amazing opportunity to do something really cool on a feature wall that is visible from the front door. Ever since visiting his house in May, I've been secretly watching for neat ideas that he could consider. Hope there might be something in here that catches his eye. 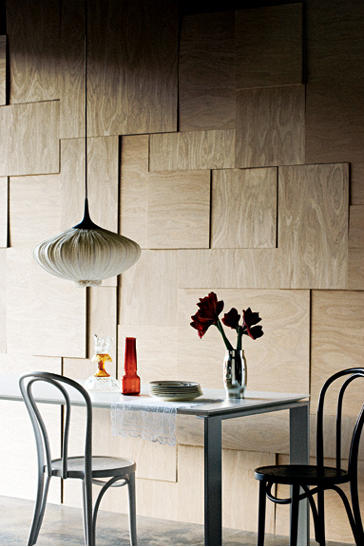 As a handy guy, he probably could mimic this textured, modern wall. 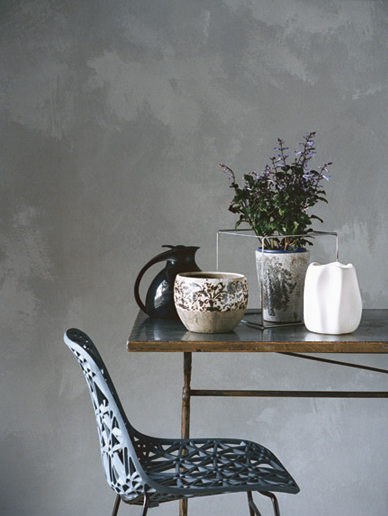 Painting that mimics a concrete look would also be sharp with his existing decor. 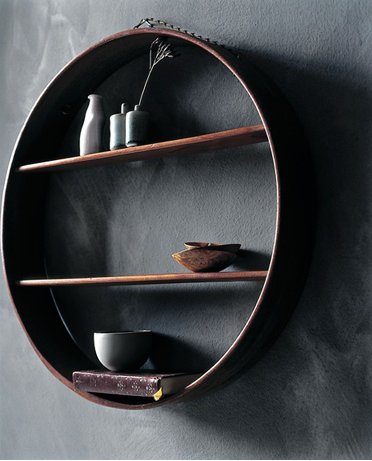 The round bookshelf would look fab on his wall as well, especially if it was 3-4 ft in diameter. 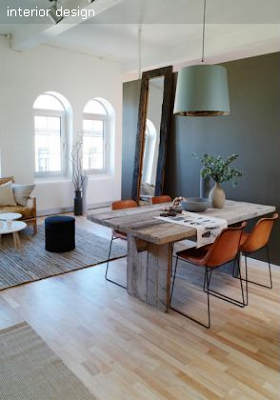 Love this idea of subtle color changes. 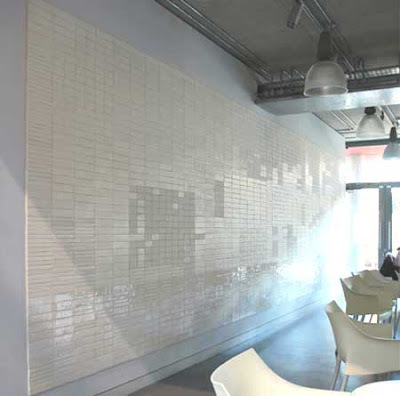 A ceramic or tiled wall. Because it's not to the edges, it looks more like artwork. 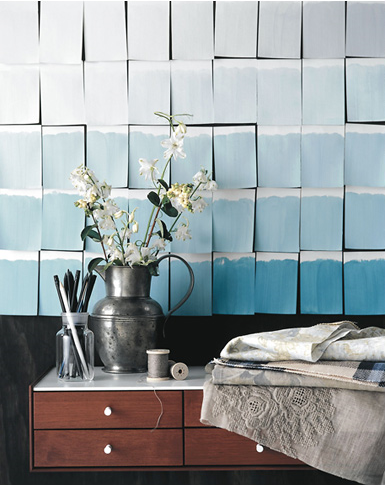 Wallpaper it in a monotone, modern, and masculine paper. 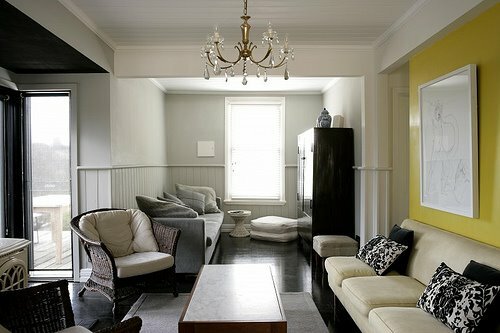 Anyone else have interesting thoughts for an accent wall? Can you smell the surf wax?